Morning Constitutional: Is Josh Myers Ready For What's Coming? Morning Constitutional: Is Josh Myers Ready For What’s Coming? Today’s Topic: Is Josh Myers Ready For What’s Coming? In 2016, Ohio State’s Pat Elflein won the Rimington Trophy as the nation’s best center. The following season, Ohio State’s Billy Price won the award. Last year, OSU junior Michael Jordan fell short of the previous standard, but still managed to earn First-Team All-American recognition. Following his performance, Jordan decided to forego his senior season with the Buckeyes and enter the 2019 NFL Draft. His departure leaves a void at center, but it appears to be a void the Ohio State coaches believe can be filled pretty well in the form of redshirt sophomore Josh Myers. In the recruiting circles, Myers was seen as a tackle. When he arrived at Ohio State, he was soon moved to guard. A year ago, he opened the spring at center and competed with fifth-year senior Brady Taylor for the job. 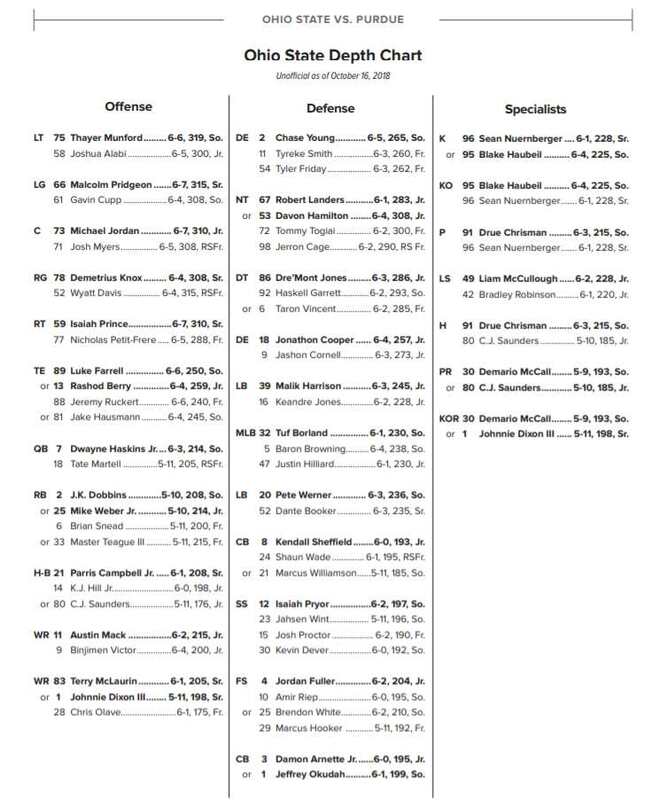 Each of Elflein, Price, and Jordan were moved to center from guard, just as Myers was. What is it that makes a lineman a candidate to play the position? Any player smart enough to play the position also knows the examples set before him. Myers — or whoever wins the job — will be expected to be one of the best players at his position in the country. 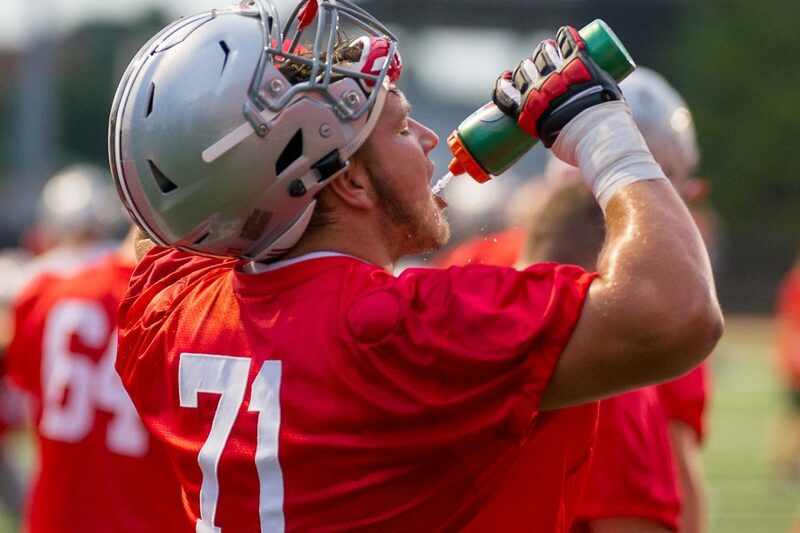 As a guy who touches the ball on every single play, there will be plenty of eyes on Ohio State’s center this year. And even though Myers is smart enough to understand the stage he is now on, Studrawa has taken the time to get him ready for the job and the expectations. He played nothing but run at the ‘Burg. Impressed that he picked up pass pro as quick as he did. And – this is one of the strongest men to ever come through the program. He made the 1,000 lb tire-flip look easy – and that’s before Mick got a hold of him!! !